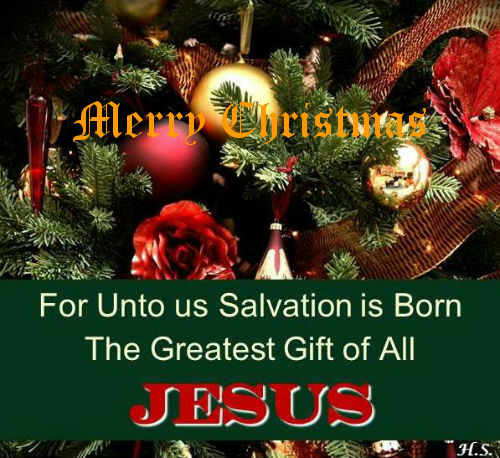 For unto us salvation is born...the greatest gift to all mankind is Jesus. The good news is that God loves us so much that He sent His Son Jesus here on earth to seek and to save the lost. It is the reason we have a time of year called Christmas. We may not know the exact date of our Savior's birth, but it is this time we set aside each year to celebrate Him. And so beyond the lights, decoration, gifts, dinner and all the parties etc, may we not loose that focus and may we in earnest, give honor to Him whom honor is due. With that said, I take this opportunity to wish you my wonderful readers of Empowerment Moments Blog a Merry Christmas. May the warmth and glow of this season fill your heart with love and joy. Thanks Kalley and same happy return to you and your family. So great being connected to a wonderful person like you!